Happy Birthday to my blog, Freebies 4 Mom! One year ago I started this blog with this post “Moms deserve freebies!“. I had one comment on that post from Stephanie who blogs at Metropolitan Mama. I’m giving her the first birthday present of the day, a $20 gift card to Amazon.com. I’ve got two special one-day giveaways to announce today. I’ll announce one later this morning and it will be be open until midnight to enter. Four winners will receive a $20 Amazon.com gift card. I’ll announce the other one this afternoon and it will be a unique type of giveaway that involves helping me pass out my new business cards. Instead of bringing you “4 Giveaways” from other blogs, I thought it would be a good time to highlight my own great giveaways so far since I’m bringing them back-to-back with a new one each day. In general, each of these giveaways is open for entry for about a week. And guess what? Tomorrow I’m announcing a new giveaway for a beautifully designed necklace by Jane Osgood Designs. But that’s not all because after that I’ve got 7 more giveaways to announce, a new one each day through October 29. Maybe even more! If there is one thing I have learned in the past year it is that my expectations for the kindness of my readers, the generosity of my sponsors, and the scale of my opportunities are usually blown right out of the water. Tomorrow my interview with Inside Edition is scheduled to air nationally. I’m pretty much speechless about this opportunity, but I welcome the attention to my blog and my mission to help my readers save some money and have fun with freebies. Thank you for reading and thank you for entering my Celebration Giveaways. For more wonderful giveaways on other blogs I’m going to send you to Mom Giveaways, where they distinguish themselves by offering free listings to all bloggers. They also have a new Mom Giveaways Review Blog and are looking for guest bloggers to write product reviews and reviews on other blogs. This would be a great opportunity for new bloggers! Read the comments on this post for more giveaways. Feel free to post a comment here with a link to your giveaway on your blog (make it TinyURL). Next week I’ll return to my usual “4 Giveaways” format. To increase the chances I’ll consider listing your giveaway, please put “4 Giveaways” in the subject of your email if you don’t post a comment here. 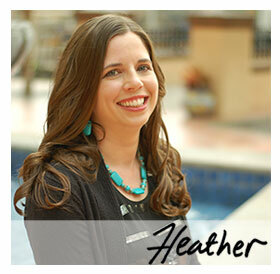 Hi Heather!Happy 1st Blogiversary…and what a momentous one it is for you! How fun that you were featured on Inside Edition!Best wishes for your continued success,Stephanie (Metropolitan Mama)P.S. Thanks for the fantastic party favor. happy blog-day to you, happy blog-day to you!! !i am amazed at how far you and your blog have come in this one year!! i am so proud of you and how you have grown this “hobby” into such a rewarding achivement! and thank you for all your support and advice over this year!has this year really gone by that quickly?? congratulations!! Happy B-day!!!! We love your blog and can’t wait for another great year!Chrissy and Kristin @ BeCentsAblePS I am going to set my DVR for Inside Edition!!! Happy Birthday! You’re great even for us Aunts! Happy Birthday! I have enjoyed reading this blog the past few months. Happy Birthday! I LOVE THIS SITE and honestly do not know what I would do without it! Its like an addiction!!! Congratulations on such a successful site! I love your blog and appreciate all the hard work you do to bring us awesome deals and freebies! Happy Blog Birthday! Keep up the great work. Can’t wait to see you on Inside Edition. Happy Birthday! Congratulations on such a successful first year. HAPPY BIRTHDAY HEATHER !!! !Keep up the great work !!!! !All your hard work is appreciated very much !!!!! I am so glad that I found your blog a few weeks back! I am totally enjoying all of the freebies and sweeps! HAPPY BIRTHDAY!!!!! Very exciting!!! 🙂 Thanks for all your hard work! I love your site and have shared it with family and friends. Thanks for always finding ways for me to save a buck or two! Happy Birthday! This is amazing, Heather! Congrats! Yeah for one year!! I love this blog, and recommend it to all my friends. I have gotten so many freebies – and won several sweeps because of you.You do a great job! I have my DVR set to record Inside Edition tomorrow morning so I can watch you!